For 15 years, Stephanie Sinclair has worked on a series of photos detailing the hardships of child marriages around the world. The images in “Too Young to Wed” invoked the sorrows and troubles felt by thousands of young girls who were forced into marriage. Because Sinclair felt it was not just enough to photograph these girls, she formed a nonprofit foundation through which she could help these young girls move away from their marriages and begin new lives. Sinclair was this year’s winner of the 2017 Anja Niedringhaus Courage in Photojournalism Award and her touching acceptance speech was a highlight at last month’s International Women’s Media Foundation awards ceremony. The event honored the achievements of five amazing and dedicated women in the field of journalism. 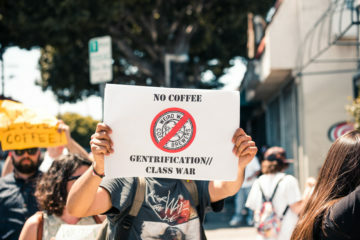 At the ceremony, held October 25 at Neuehouse Los Angeles in Hollywood, the Boyle Heights Beat received a special Community Award. 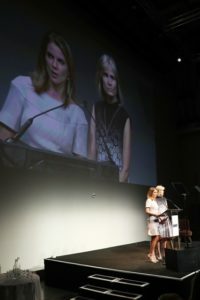 The ceremony was co-hosted by Natalie Morales, anchor of CBS TODAY and Access Hollywood, and by Willow Bay, the Dean of USC Annenberg School for Communication and Journalism. Bay recalled the feminist battle cry inspired by Senator Elizabeth Warren’s Senate floor speech silenced by Republican majority leader Mitch McConnell, repeating the phrase “Nevertheless, she persisted” every time she introduced an honoree. Each woman awarded that evening, she said, persisted despite the dangers some faced in the countries in which they reported. There were three recipients of the Courage in Journalism Award, but two of them were unable to attend the ceremony. Hadeel Al-Yamani was honored as the first female war correspondent in her native country of Yemen. She faced many threats reporting for Al Jazeera Arabic, yet was prevented from entering the United States by the Trump administration’s recently instituted travel ban. 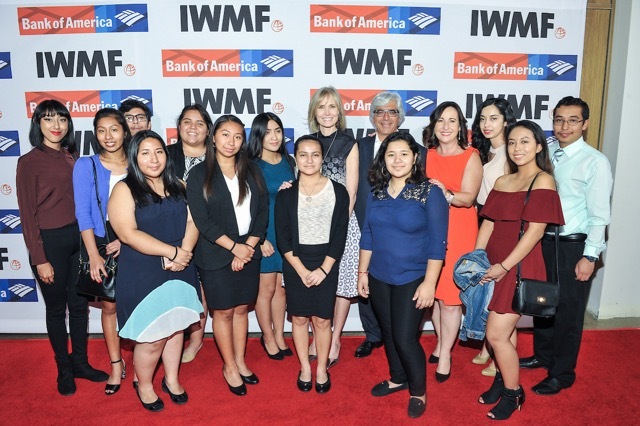 Students and donors at IWMF awards. Photo by Vince Bucci. 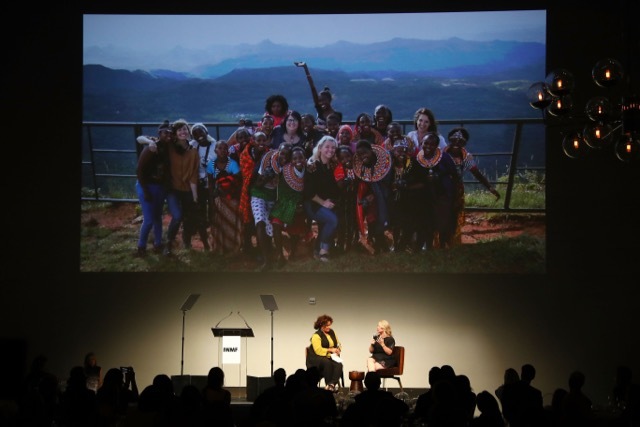 Also unable to attend was National Public Radio reporter Deborah Ramos, who earned a Courage in Journalism award for her nearly 40 years of reporting from conflict zones. But the audience was able to listen to honoree Saniya Toiken, who spoke of the many challenges and even threats to her life she faced as a reporter for Radio Free Europe/Radio Liberty in her home country of Kazakhstan. 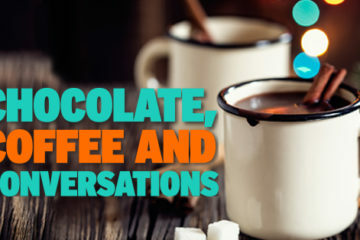 She reported on the injustices faced by workers, government corruption, and other socio-political stories across Central Asia. 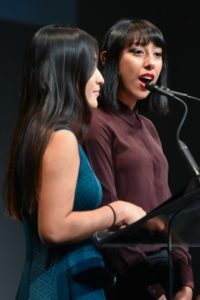 Xochil Ramírez and Jackie Ramírez at IWMF awards. Photo by Vince Bucci. Besides photographer Sinclair, a fifth honoree was Cindie Levie, Editor in Chief of Glamour Magazine. 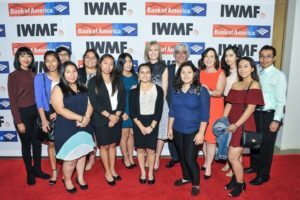 Levie received the IMWF Leadership Honoree Award for her 16 year career that included turning Glamour into a serious voice for women in the United States. “These fletchling journalists are learning objectivity and investigative techniques, while elevating the voices in their community, ” remarked Bay. 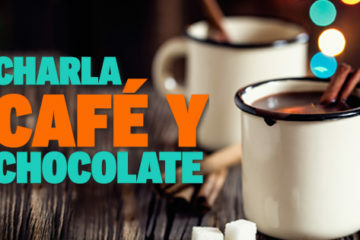 The award was accepted by youth reporters Xochil Ramírez and Jacqueline Ramírez, who thanked the IWMF for the honor. 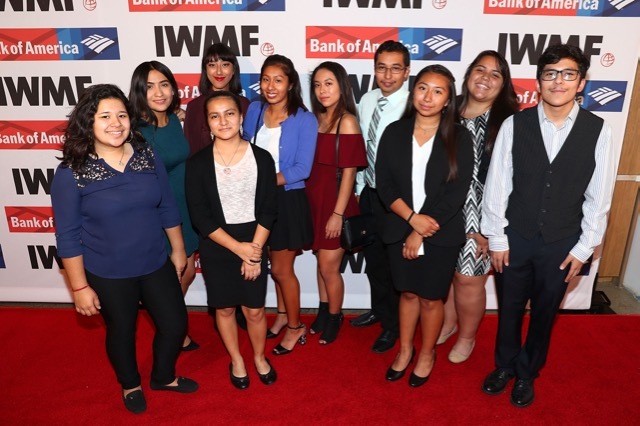 Along with the honor, the Boyle Heights Beat received a generous donation from the IWMF, funded by private donors Theodore and Helen Boutrous.